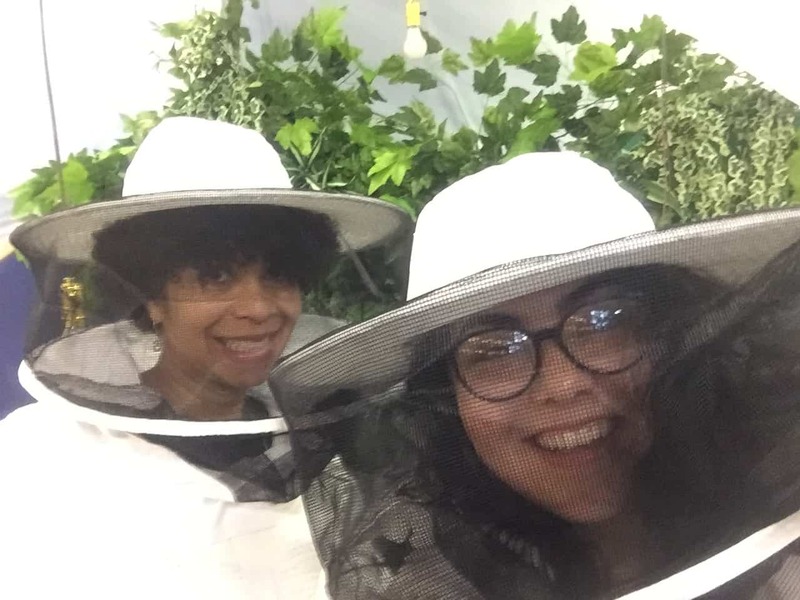 A few weeks ago, I wrote a blog post about my budding interest in honeybees and beekeeping. 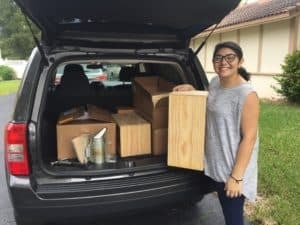 Since that time, I have been able to begin a certified beekeepers course offered by the Broward Beekeeper’s Association, along with my intern, Michele. Not only is the class engaging and fun, we are learning more about the status of honeybees here in America. According to the USDA, 44% of all US honeybee colonies died off over the past year. The reasons for this die off have not been fully determined. Some researchers believe a combination of climate change and pesticides are to blame. Whatever the reason, the reality of honeybees on the decline does not bode well for us. The fruit trees and plants we grow for their fruits and vegetables require pollination by insects. As pollinators thrive, we thrive. In our beekeeping class, we not only receive classroom instruction, but we also have sessions outdoors with the bees and beehives. 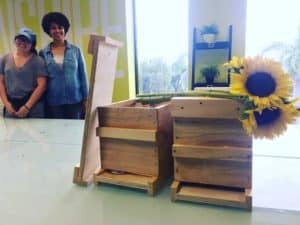 One of our assignments has been to build our own beehive boxes. Last Friday, we each started building a “NUC Box”. A NUC box is half the size of one Langstroth beehive box and is used to nurture a new colony until they are ready to move to a full size beehive box. After we finished the construction of the boxes a few days later, we took them outside to paint them. I’m looking forward to welcoming honeybees to our hive boxes in the near future! 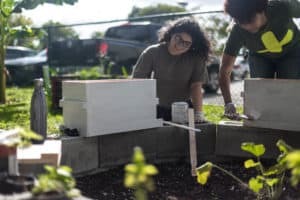 In the coming weeks, I will be writing more about how I’m working to bring together beekeeping, the goat bank, and eco-farming here locally, as well as in Cambodia with Cambodian Care Ministries. Love this Adventure, the Cause, and of course, the Hats!